Sigma has officially announced three new lenses for Sony E-mount at Photokina 2018. The 28mm F1.4 DG HSM Art, 40mm F1.4 DG HSM Art, and the 56mm F1.4 DC DN Contemporary lenses. 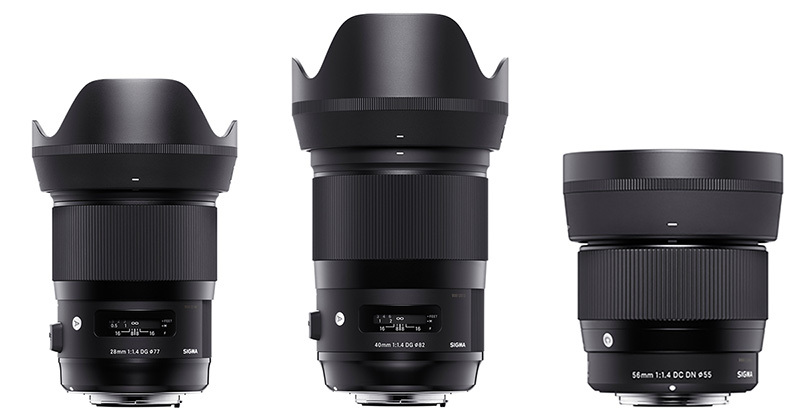 The lenses will be part of Sigma’s ‘C’ (for Contemporary) range of lenses which aim to strike a balance between quality and price. They also announced the 70-200mm F2.8 DG OS HSM Sports, and 60-600mm F4.5-6.3 DG OS HSM Sports lenses. Sadly, unlike the three other lenses, these sports lenses will only come in Sigma, Canon and Nikon mounts. No pricing or availability information was announced. Full technical specifications are available here. Pricing and availability will be announced later.